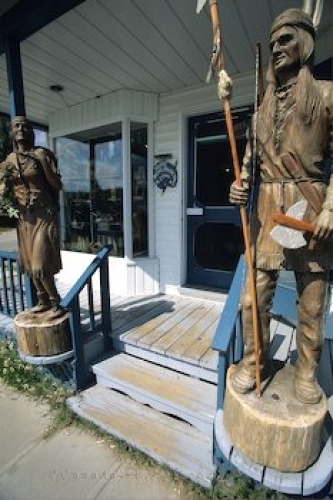 Sculptures of natives in Tadoussac close to St. Lawrence in Quebec in Canada. Native sculptures in Tadoussac, St. Lawrence, Quebec, Canada. Photo of sculptures of natives in Tadoussac St. Lawrence, Quebec, Canada.